EVERYTHING YOU NEED, IN ONE PLACE ! iLeo Financials calls on more than 15 years’ experience in many sectors to offer a suite of functionalities that meet your specific needs. Whether you have to report according to Belgian or foreign standards, across different companies, currencies or periods. Designed to improve productivity. All the accounting functions you need to comply with Belgian and foreign standards, multi-company, -currency and –period. With notably the ability to individually configure data-entry screens and automate complex book-keeping. By digitising the documents, administration approval tasks (e.g., invoices) are handled electronically without the need for copies and/or the loss of documents. Synchro Financials communicates with your existing management tools, totally transparently, to provide reliable information in real time. Boost your productivity! Drawing up and printing of invoices and credit notes with automatic allocation in the sales ledger (in the general ledger, for analytics, projects and sub-projects) and for various statistics. Also included: e-invoicing, contract management and recurring invoices. Multiple account reporting plans use the general ledger and/or analytic budgets to generate balances and ledgers in other formats (e.g., the US).  iLeo Financials integrates the generation of consolidation. The most powerful on the market. Across different levels with balances and general ledger combined, repartition keys for each level and a bridge to the following level. Also designed to allow the follow-up of site projects, even across different accounting periods. Complex book-keeping in one click. Automisation of payment operations through the import and export of data via CODA files. Direct connections with administrations and banks. Drill-down: click-through provides increasing levels of detail about figures, even with scanned documents. Create personalised dashboards and automatically generate your company’s ratios and key performance indicators. Follow the budgets of the general and analytic ledgers and constantly anticipate the flow of cash. Available planning: provisional, budgetary and real. Built for change. New legal dispositions (e.g., changes in VAT, SEPA, accounting methods, …) are updated and implemented across all your company. be.wan, the publisher of iLeo Financials, provides dedicated support at all times and as your needs or IT infrastructure change over time.